Connecting your Microsoft® Windows® machines to G Suite™ identities is a great vision. In fact, the ability to connect G Suite Identities to all of your IT resources would be wonderful. As a result of this pairing, it would centralize your users’ credentials and give you more control over all of their IT resources. Another benefit is that you could finally move completely to the cloud and eliminate Microsoft Active Directory® (AD) or OpenLDAP™ from your infrastructure and not be forced to maintain or secure those instances any longer. In short, Windows authentication using G Suite identities would be a beautiful thing for IT. Unfortunately, out of the box, G Suite Directory doesn’t authenticate outside of G Suite applications and a few select web apps. 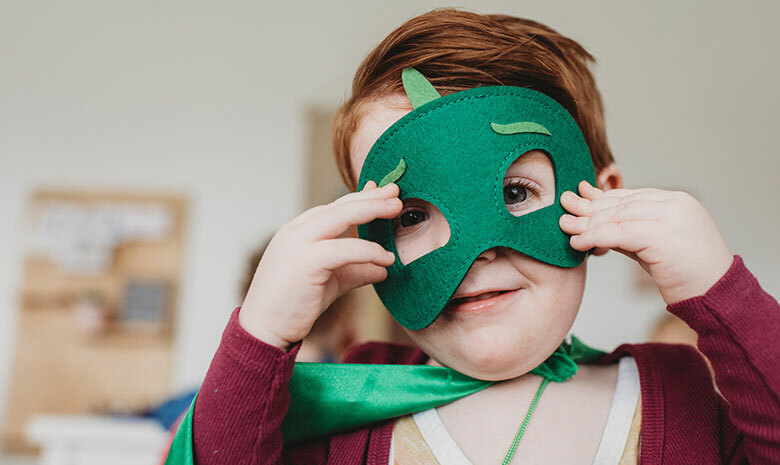 The good news is that a provider and platform agnostic solution can help you accomplish this universal identity vision with G Suite identities called Directory-as-a-Service®. As a companion to G Suite, the cloud-hosted directory service tightly integrates to centralize G Suite credentials. Now, a user’s G Suite identity can be federated to their laptop or desktop, AWS® cloud servers, web or on-prem applications, and their WiFi authentication through RADIUS. 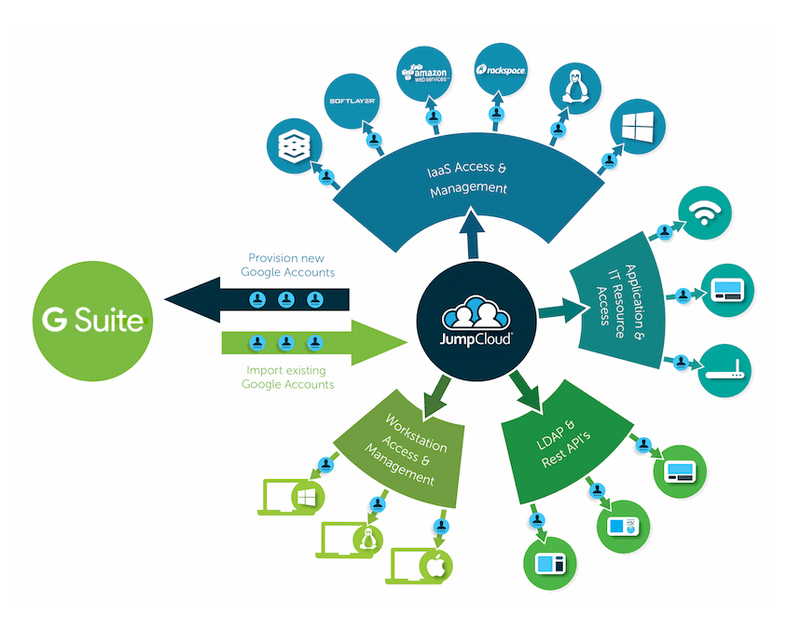 Because JumpCloud is a third party provider, Windows, macOS®, and Linux® devices are all treated equally, and that means your users with Windows (or macOS / Linux) can login to their devices using their G Suite identities. The result is less friction and more time to get to work. That’s a powerful, comprehensive approach to directory services. A decade ago, a similar True Single Sign-On™ solution was available with Active Directory and the domain controller. With our modern mixed-platform environment moving to the cloud and the shifting of gravity to G Suite, the ability to centralize user management was lost. Now, however, with Directory-as-a-Service, single sign on isn’t just for web applications any more, now you can leverage those credentials for virtually any IT resources your users need to connect to. IT can now manage access to your Windows systems, Linux cloud servers hosted at AWS, on-prem legacy applications via LDAP (OpenVPN™, Jira®), web applications via SAML, WiFi authentication through RADIUS, and much more. The question we often hear is why can’t you do this with G Suite Directory? The answer to that question is actually quite simple. G Suite Directory is really a user management solution for G Suite applications. It does provide access to some LDAP and SAML applications, but aside from that, it doesn’t leverage native Windows, macOS, or Linux authentication, APIs, or a multitude of protocols. That leaves a pretty sizable gap in your ability to manage users and their IT resources. Effectively, Google’s goal is for you to think of G Suite as a replacement for Exchange®, Windows file server, and Microsoft Office®. But, G Suite is no outright replacement for Active Directory. Ultimately, you’re still stuck with AD on prem. JumpCloud’s Directory-as-a-Service, on the other hand, is aimed at being an alternative to Active Directory. In fact, it’s Active Directory reimagined. If you want to learn more about how you can achieve Windows authentication using G Suite identities, schedule a demo today. Or, you can just try it for yourself by signing up for a free account. A free account enables you to manage up to 10 users for free using the full-featured version of our product. Be sure to check out our G Suite integration support documents, or if you have further questions, contact us today.